This is the kind of hearty, show-stopper Italian dinner I like to make once in a while. 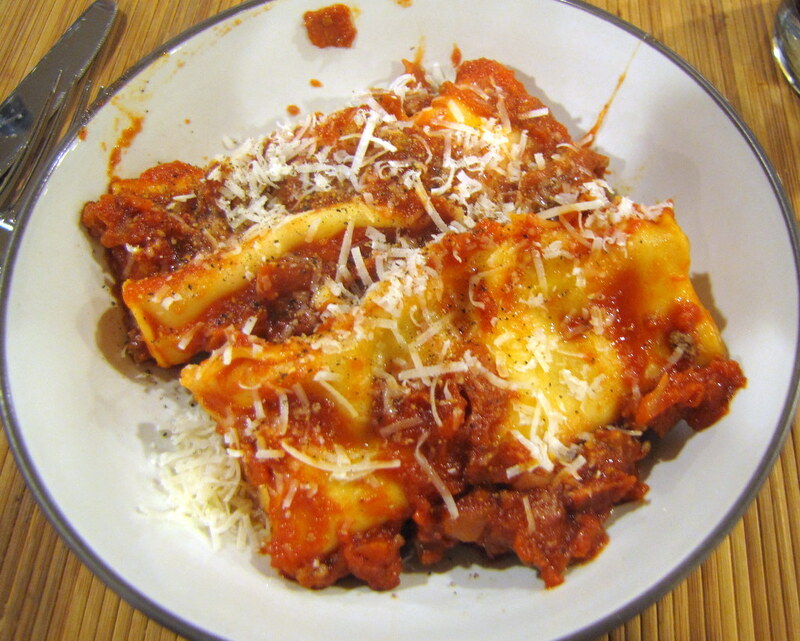 Not a million miles away from Lasagna Rolls, this pepperoni-fueled version is from Cook’s Country Best Country Recipes. I made this at the beginning of April, but we’re still having some cold enough nights to make this worthwhile. Adjust oven rack to middle position and preheat oven to 375 degrees F. Pulse onion and pepperoni in food processor until coarsely ground. 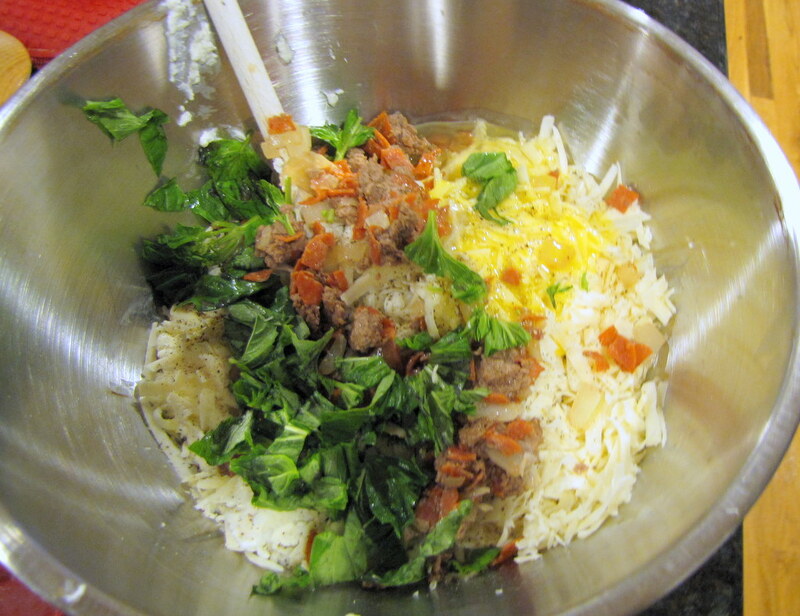 Add beef and pulse until thoroughly combined. 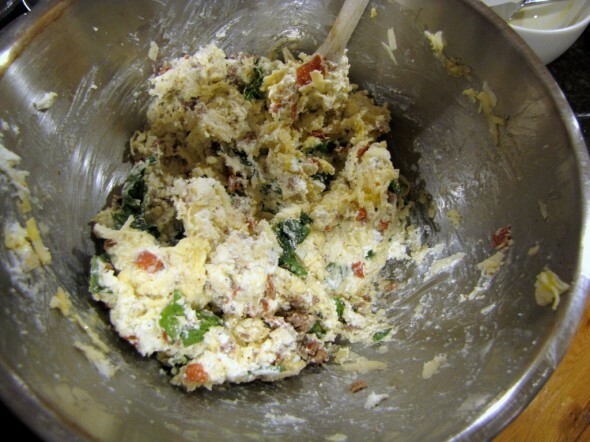 NOTE: My food processor parts were actually in the dishwasher when I made this, so I chopped and just mixed everything together in the saucepan. Transfer beef mixture to large saucepan and cook over medium heat, breaking up mixture with wooden spoon, until no longer pink, about 5 minutes. Using slotted spoon, transfer 1 cup beef mixture to paper towel-lined plate and reserve. 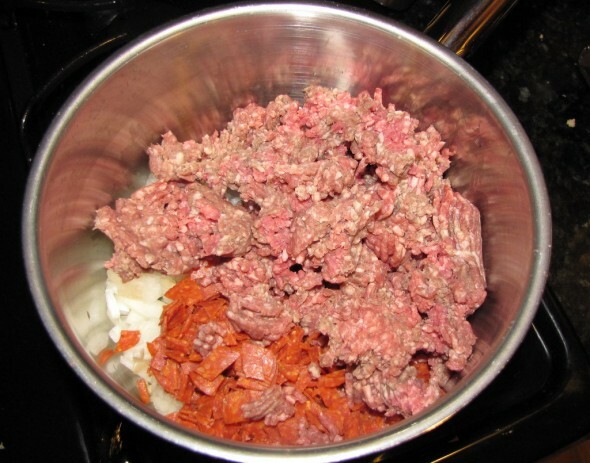 Add tomato paste, garlic, and pepper flakes to pot with remaining meat mixture and cook until fragrant, about 1 minute. 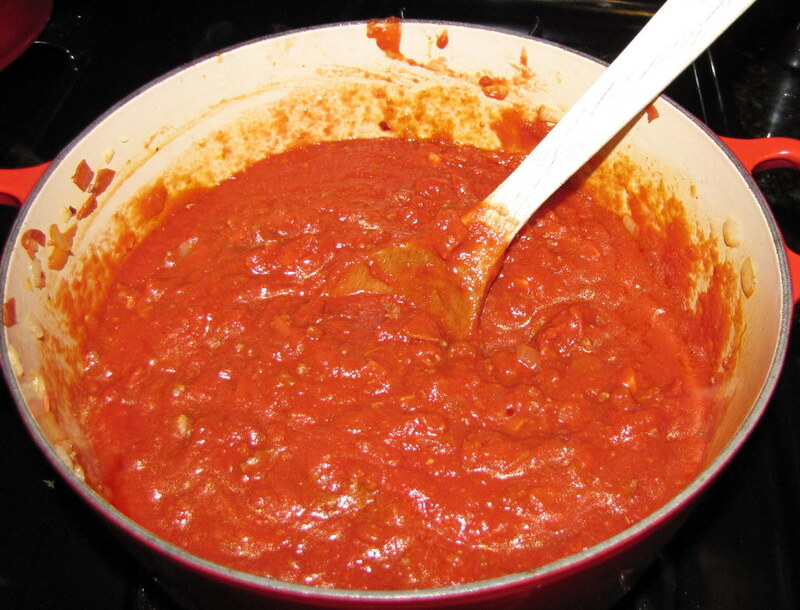 Stir in tomatoes and simmer until sauce is slightly thickened, about 20 minutes. Season with salt and pepper. (At this point you can store the sauce in an airtight container for 3 days). 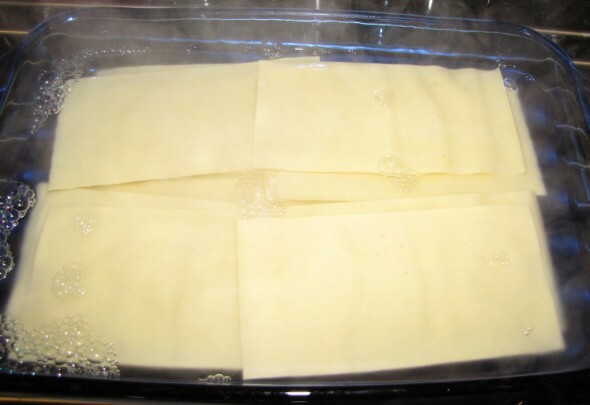 Pour 2 quarts boiling water in 13 x 9″ baking dish. Soak noodles until pliable, about 5 minutes. Drain noodles on kitchen towel. Pour off water and dry the baking dish. 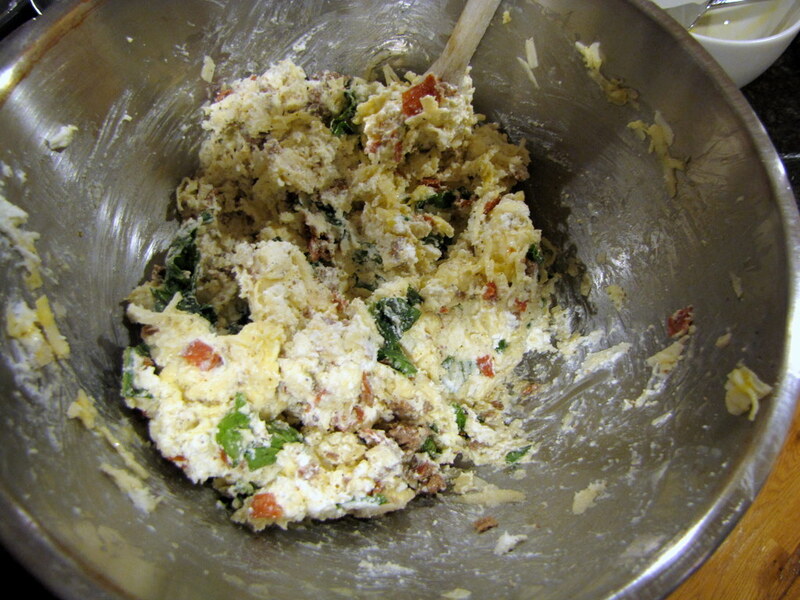 While the noodles soak, combine ricotta, 2 cups mozzarella, 1 cup provolone, egg, salt, pepper, basil, and reserved meat mixture in large bowl. 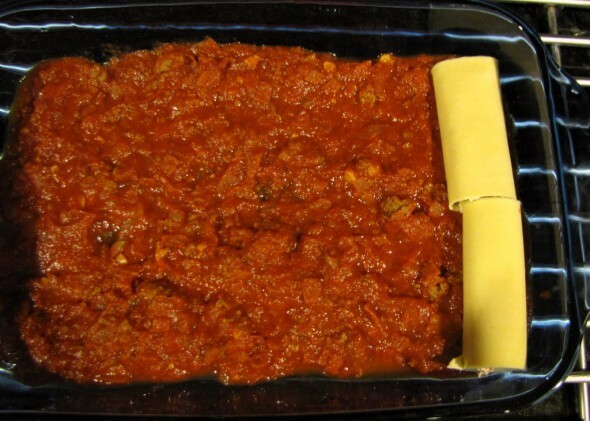 Spread half of the meat sauce over the bottom of the baking dish. 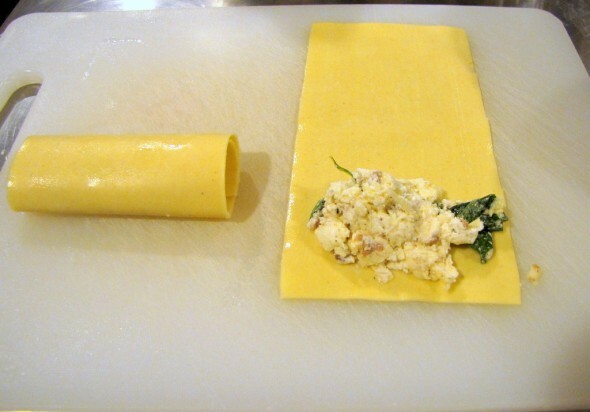 Top each soaked noodle with 1/4 cup cheese filling and roll. Arrange the rolls seam side down over the sauce in the baking dish. 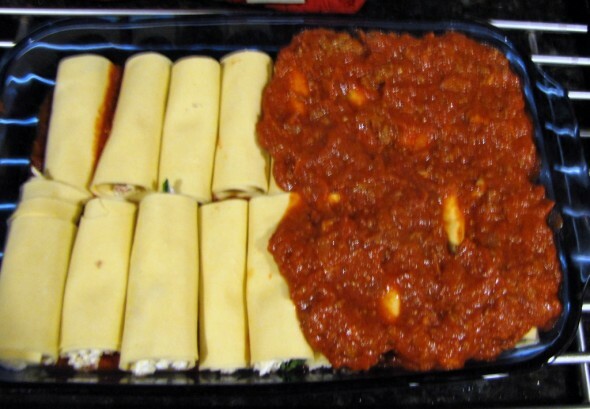 Spread remaining half of meat sauce over the manicotti. Cover with foil and bake until bubbling around edges, about 40 minutes. Remove foil and sprinkle with the remaining mozzarella and provolone. 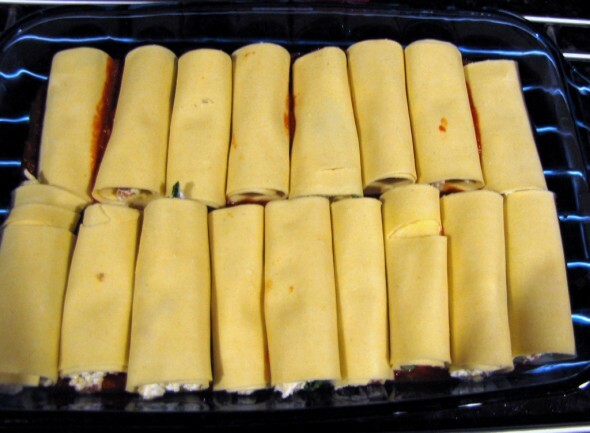 Bake until cheese is melted, about 5 more minutes. Let cool for 15 minutes and serve.